If there were a picture in the dictionary following the word "Entrepreneur" it would be that of this dynamic individual - Our principle Broker of Record here at Kerrigan Country Realty. 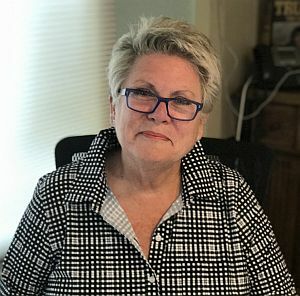 Born and raised in Oceanside and Rockville Centre as Denise Kerrigan, "Dee" is now a well-known fixture in the Greater Westhampton Beach Community. Her professional career includes 30 years as the Executive Assistant to the President of Waldbaum Supermarkets and as such, was very involved in numerous charitable and special events sponsored by the corporation. Giving back to the community has always been number one on her list of priorities. An expert at multi-task execution, Dee is also the owner of DeeAngelo's "Pleasant Avenue" Cafe at 149 Main Street - overlooking the Westhampton Beach Village Green. Over the years, she and her partner, Lenny Angelo, have entertained thousands of local diners and enjoy doing so. As the Owner and Principal Broker of Record of Kerrigan Country Realty, Dee's attention to detail and personal input are evident in each transaction that takes place in her privately owned and operated real estate office. Her straightforward, honest and common sense approach to selling real estate is not only practiced by her, but also demanded of each and every agent working for the Kerrigan Country Realty family.